The 2014 NFL Draft was probably one of the more interesting drafts I have seen in a while. A first round with a lot of intensity and questions as to where certain players would go (despite the constant slurping of Johnny Manziel by Jon Gruden, among others) and a lot of surprises. 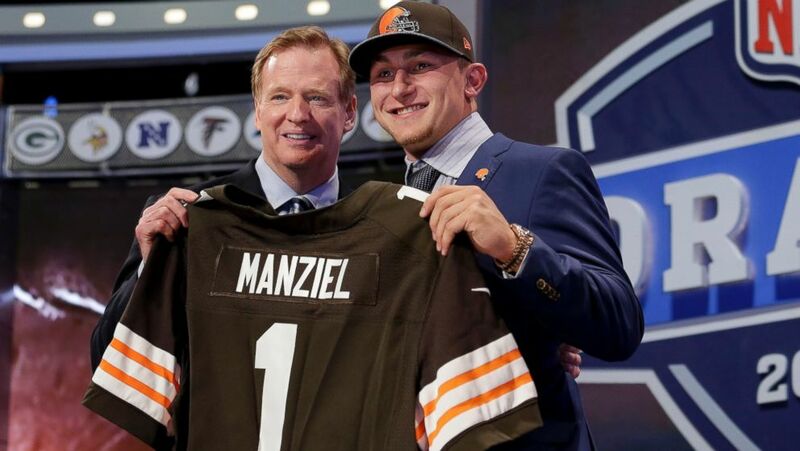 There was first the drama surrounding Manziel, who I projected to go with the fourth selection by the Cleveland Browns. He ended up there,but with the 22nd pick where the Browns traded up with Philadelphia. I didn’t think he would slip as far as he did, I thought that if Dallas had a crack at him,they would take him because they like to take guys who can sell tickets for them. I think Manziel ended up in a good place, that offense has some talent and are maybe a player or two away from being really decent. Then you had Teddy Bridgewater who earlier in the year was touted as maybe being the first pick. Then he slipped on everyone’s draft boards (mine included). 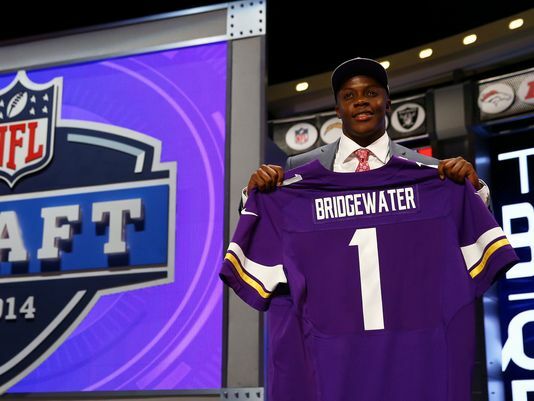 Suddenly the Minnesota Vikings came into the picture by trading back into the first round with the Seattle Seahawks and they selected Bridgewater with that 32nd pick. I think the Vikings made a great choice by nabbing him, he is joining an already talented offense and I think this makes them a lot better already. I don’t know if they’ll be a playoff team again next season but they are headed down the right track with him. Overall,I thought it was a great first round, though I am still unsure as to why Cleveland traded up to eighth to select Justin Gilbert (after trading down from fourth to ninth with Buffalo). I know they need help in the secondary,but they could have stayed put. A lot of teams did well to help their own causes in that round. The drama picked up again in the seventh round on Saturday when Michael Sam, the SEC Defensive Player of the Year out of Missouri, would wait to see if any team would draft him. Sam is openly gay and came out to the world in February. I watched along with many others to see if this young man would hear his name get called in New York City. The St. Louis Rams were the ones to make this kid’s dreams come true as he became the 249th man selected in this year’s draft. I think Sam landed in the right place. Not only is he close by,but he is in a good situation with Gregg Williams as his defensive coordinator and in that scheme. Sam will probably be a special teams guy if he does make the squad (which I think he will), but I know for certain he will make the most of his opportunity. Not only did the Rams make a great choice in drafting Sam, but they had an awesome draft altogether. The Miami Dolphins have not had a banner week when it comes to social media and reactions to the NFL Draft. Instead, they have chosen to prove to everyone that they’re still a bunch of scumbags when it comes to the treatment of fellow teammates. Upon drafting Ja’ Wuan James in the first round,center Mike Pouncey tweeted “I can’t wait for our gifts he’s getting us.”, which prompted him to shut down his Twitter account. In case you don’t remember, the Dolphins were embroiled in a bullying scandal involving former teammate Jonathan Martin, now with the 49ers. Pouncey was a part of that scandal as well as former teammate Richie Incognito. 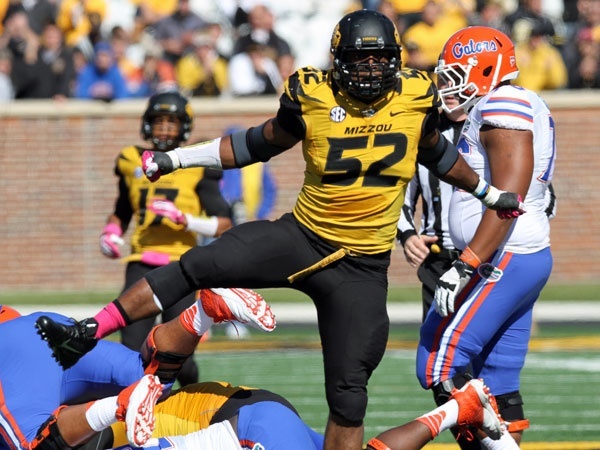 On Saturday, safety Don Jones tweeted “OMG” and “Horrible” when hearing about Michael Sam being drafted by the Rams. Jones will be reprimanded sometime today. Did none of these guys learn anything from what happened last season? Are any of these fuckheads going to grow up and learn that what they’re doing is no longer okay? 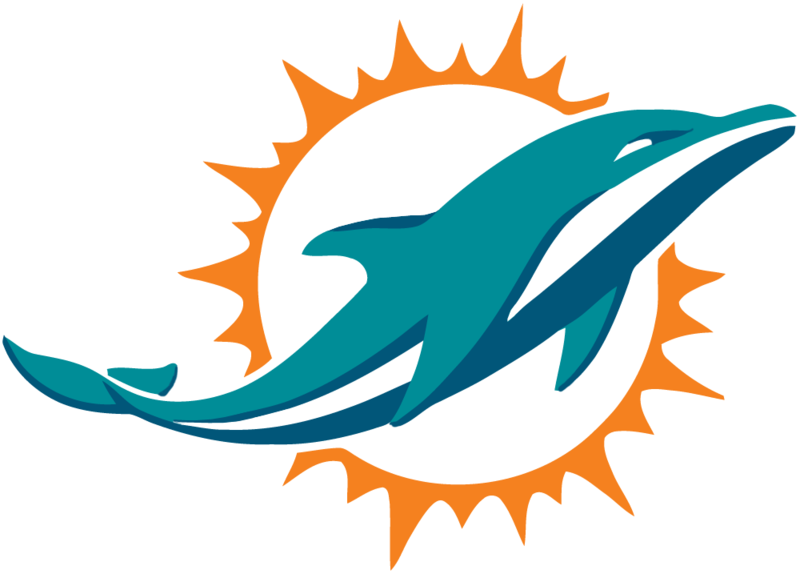 This is why I can’t stand the Miami Dolphins as an organization. Not only did they gang up on a fellow teammate with mental and psychological issues, but they have yet to show that they’ve learned from the mistakes they’ve made and have moved on. On the outside looking in, it looks like business as usual and that they’re unwilling to change. If anyone thinks that Shelly Sterling is going to have any part of owning the Los Angeles Clippers, they should probably think again. The estranged wife of banned owner Donald Sterling has said to Barbara Walters of ABC News that she will fight to keep the team if her husband is forced to sell by the other 29 owners. 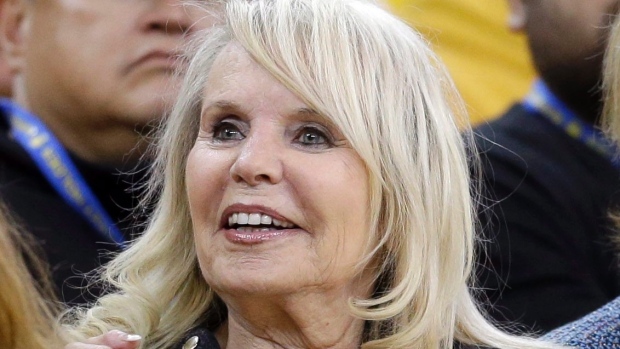 Shelly Sterling owns 50-percent of the team which is placed into a trust. Does anyone not know that she is as toxic and vile as he is? Has anyone not seen the video of her posing as a health inspector barging into the homes of minority tenants in her husband’s buildings? A woman who in depositions has been alleged to claim that Latinos were “filthy”. I honestly don’t believe the league will let this fly with her or any owner of a team or even someone who wants to own a team. If somehow she is successful in keeping the team I have to think that every player and coach who is able to will petition the league to let them play,coach,or work elsewhere. This woman is absolutely bad news and the league needs to know that.